='data:blog.isMobile ? "width=device-width,initial-scale=1.0,minimum-scale=1.0,maximum-scale=1.0" : "width=1100"' name='viewport'/> The Crawford Arts Review: Soon they'll be gone . . . Soon they'll be gone . . .
the fabulously narrative sculptures of Fausto Melotti will be scattered around the globe back in public and private collections. This coming Friday, 20 December, is the final day of the Fausto Melotti exhibition, a retrospective of the work of the artist that spans 40 years, from Diavolo (c 1945) to Carro delle illusioni (1984). At the Waddington Custot Galleries, 11 Cork Street, London W1S 3LT, Monday to Friday: 10 am-6 pm; Saturday: 10 am-1:30 pm. 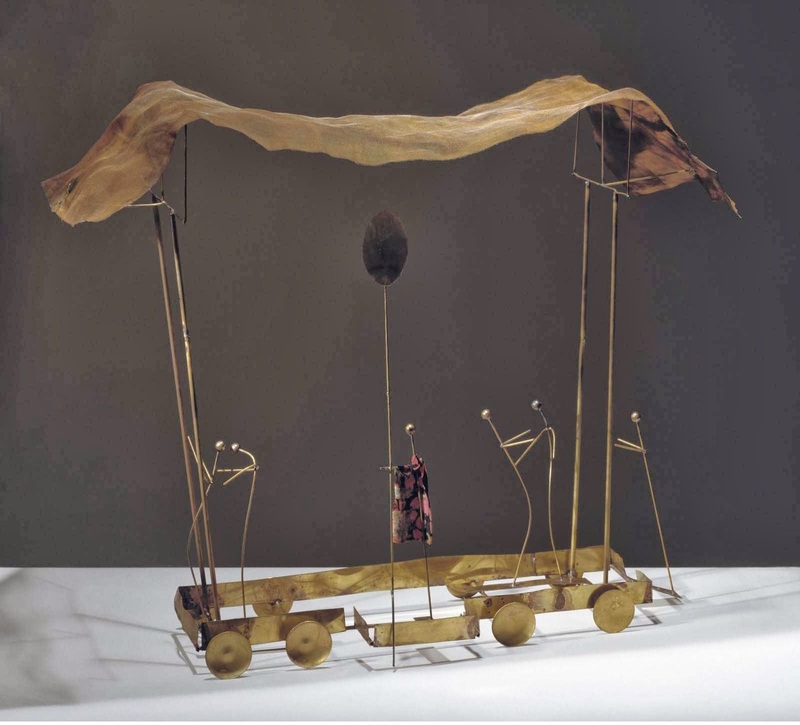 Fausto Melotti, Diavolo, c 1945. © Archivio Fausto Melotti, Milan; photography © Daniele De Lonti, Milan. 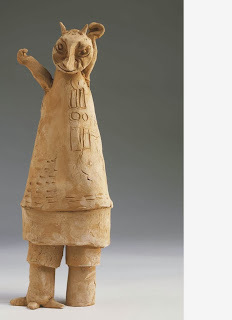 Courtesy Waddington Custot Galleries, London. 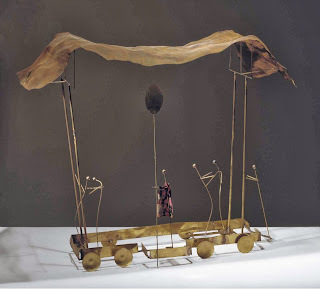 Fausto Melotti, Carro delle illusioni, 1984. © Archivio Fausto Melotti, Milan; photography © Daniele De Lonti, Milan. Courtesy Waddington Custot Galleries, London.